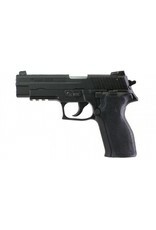 The Sig Sauer P226R Classic 22 is a rimfire version of the standard P226. Enjoy hours of serious training at the range for a fraction of the cost of centrefire ammunition. 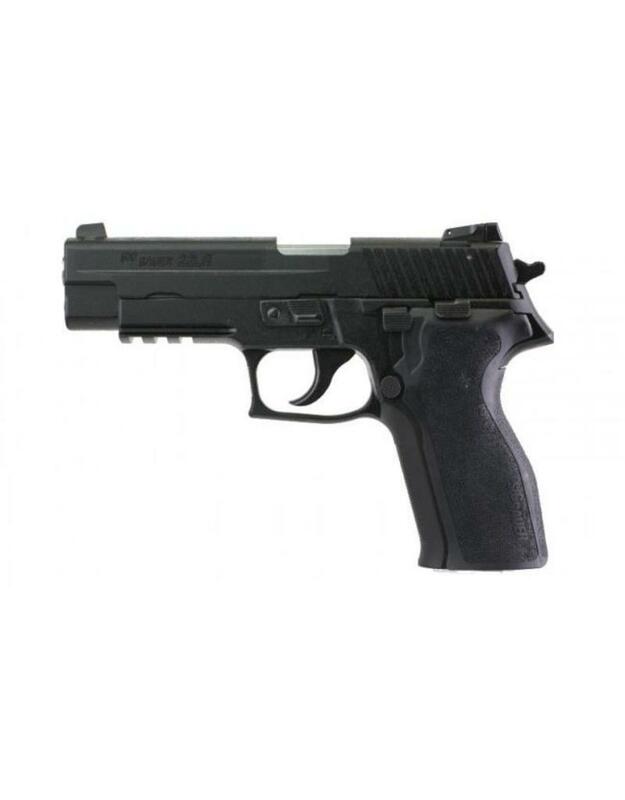 All Classic 22's utilize identical frames to the centrefire P226 and are capable of accepting slide assemblies of the 9mm, .40 S&W, and .357 SIG calibers without altering the reliability or accuracy of either assembly. All Classic 22 models utilize Sig's four-point safety system, which employs a patented automatic firing pin safety block, a safety intercept notch, trigger bar disconnector, and a decocking lever, eliminating the need for an external safety and simplifying the draw procedure for these firearms. 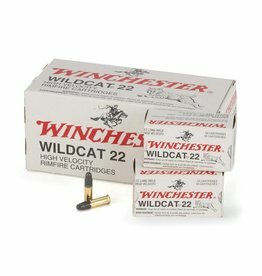 The Classic 22 can be combined with the Sig Sauer X-Change Kit to convert to different calibers. Simply replace the .22 caliber slide assembly and replace it with your 9/40/357 slide assembly for centrefire performance. This provides the added benefit of effectively owning two pistols in a single premium package. This model comes with an accessory rail.